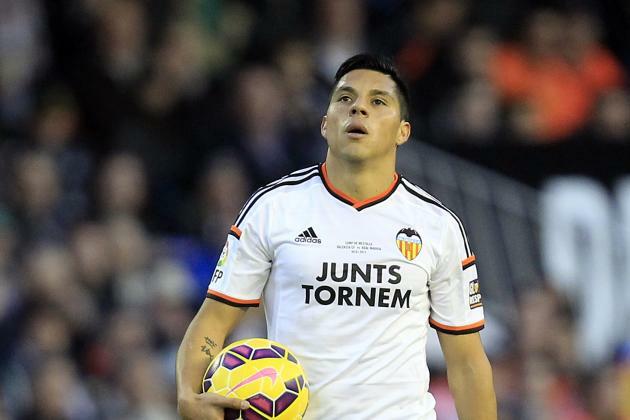 On the 2nd January, Benfica’s talisman Enzo Perez was confirmed to joining Spanish team Valencia, who have already taken the talents that were Rodrigo and Andre Gomes off them in addition to loaning promising Portuguese rightback Joao Cancelo. Huge question marks were brought up as to how Benfica would now replace the Argentine who had just come off the back of a sensational season, helping Benfica to a historical domestic treble and winning the Primeira Liga Player of the Year. However, with four consecutive wins, scoring 14 goals and conceding none, following Perez’s departure, there are glimmers of hope that the loss of the 29-year-old will not cost them dearly with the impressive Anderson Talisca looking to be the likely replacement in his position, who has already scored 9 goals for Benfica since signing in summer from Brazilian side Bahia. After such an incredible performance by Benfica against at the time, third placed Vitória Guimarães, morale will without a doubt be boosted for the players as they look to seal back to back league title wins following the upset caused in the Portuguese Cup and Champions League. On the other hand, the ‘Enzo’ role has still not been filled and although Talisca has had some good spells in that position, there are still some indications that he needs to grow, mentally and tactically, in order to become an efficient member of the squad in that role as the work horse. On one side, we are able to see he has superb attacking abilities, has a fantastic shot on him, especially from outside the box and has dazzling dribbling that we could see to be better than Enzo Perez in the attacking department but when it comes to defensively, Talisca, being the attacking minded player that he is, still has some work to do when going back and helping Samaris in the defensive role behind the midfield without giving the ball or fouls away cheaply aswell as his attitude as Perez was widely known to being an aggressive workhorse, something Jorge Jesus will no doubt try to incorporate to Talisca or whoever is chosen to fill the boots of Perez. Pizzi, is anther player to look for in that position.